My team and I are delighted to welcome you to the ibis budget Saint Genis Laval, located in the heart of a residential neighborhood. Just 15 minutes from the center of Lyons, ideal for a business trip or a family stay en route to your vacation. 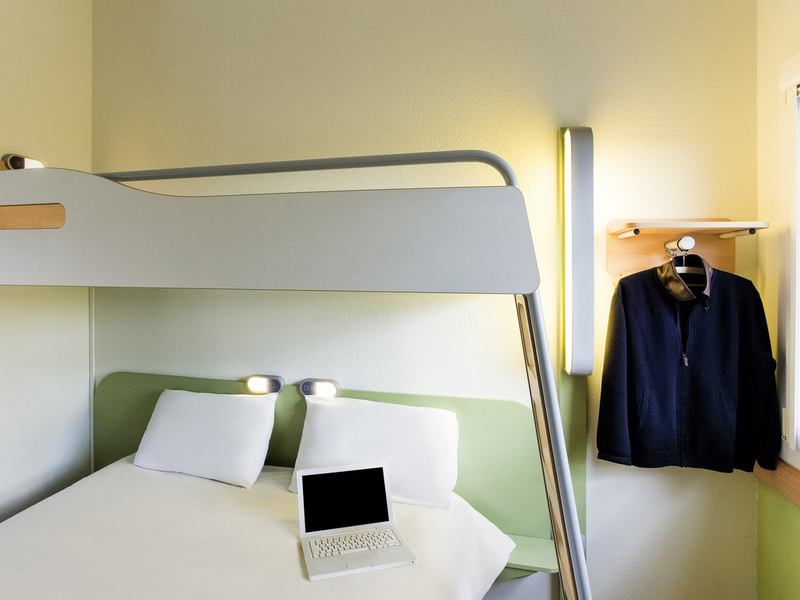 The ibis budget Lyon Saint-Genis-Laval (formerly an Etap Hotel) is ideally situated along the A450 highway, south of the "Capital of the Gauls", which is also the "Capital of Gastronomy". Discover the historical and architectural heritage of the city, listed by UNESCO. Just 3.1 miles from the Lyon Sud hospital and the Lyon Aquarium, 6.2 miles from Place Bellecour, the Stade de Gerland, and Halle Tony Garnier, this economy hotel has 56 air-conditioned rooms, equipped with free WIFI and a private car park.